The Zeiss 21mm f/2.8 Milvus ZF.2 for Nikon is a wide angle with distortion control for a dynamic perspective that is more accurate than in your average wide lens. It is a manual focus only lens that sports a comfortable rubberized ring for precision control over your focus along with a de-clicked aperture ring for silent, step-less f/stop adjustments – a perfect feature for videographers. 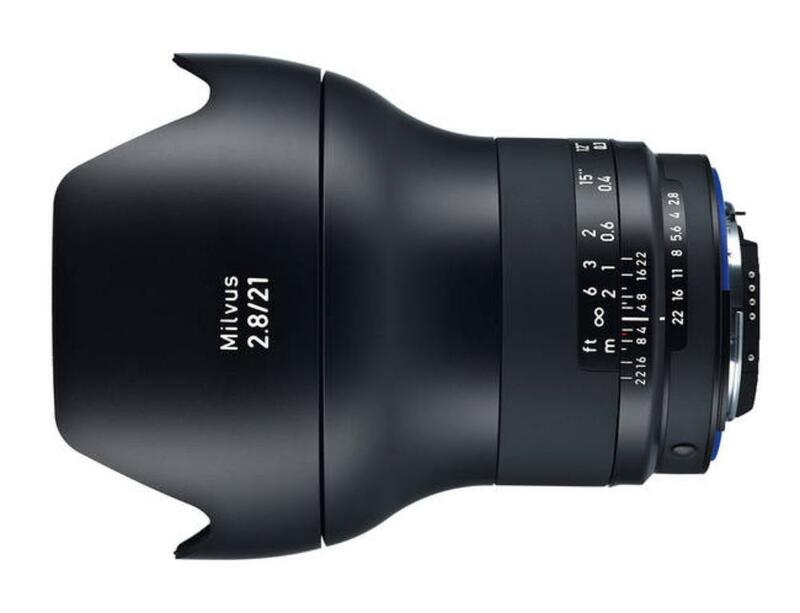 The Zeiss 21mm f/2.8 Milvus can be paired with both full frame sensor cameras, such as the Nikon D810, and with crop frame sensor cameras, such as the Nikon D7200. The focal length equivalent on crop frame sensors is 31.5mm. You can shoot as close as just under 9" from your subject for exaggerated effects and the weather sealing allows you to shoot in almost all conditions. This lens is ideal for landscape, cityscape, and interior/architectural photography as well as for shooting video. • This lens is compatible with Nikon F mount cameras in both full frame and crop frame sensors. The focal length equivalent on crop frame sensors is 31.5mm.